When it comes to social media platforms, brands are searching for the best ways to engage, while users are looking for ways to avoid the onslaught of banner ads, cheery emails and auto-playing commercials that vie for their time. So, how can a brand break through that deluge of information and bring something meaningful to an audience? By leveraging Instagram. The photo-sharing platform is one of the most compelling sources for visual storytelling. It tunes out traditional advertising and drummed-up fanfare in a way that communicates something truly special in our busy lives: a sense of real authenticity and connection. Of course, some brands use Instagram better than others. Today, we pay homage to Poler Outdoor Stuff. Though you may have never heard of it, Poler has built a near cult following that craves the brand’s content just as much as their outdoor gear and apparel. Out of the 200 million active users on Instagram each month, Poler amassed a sizable 200,000 followers. How did they do it? Here are 3 things you can learn from Poler’s Instagram. On a platform where the images do the talking, the first focus should always be on sharing engaging imagery—each and every time. Like Instagram leader Nike, Poler doesn’t push their products too hard. Rather, they share a cohesive brand experience, using a carefully curated selection of images to seamlessly showcase their products as props in the larger world. Being an outdoor brand, this means each of their photographs is in a compelling story about the love of nature—and sharing that with friends. How do you gain a devoted following? Get them involved. Poler is doing that with deft style and, particularly through the use of hashtags. 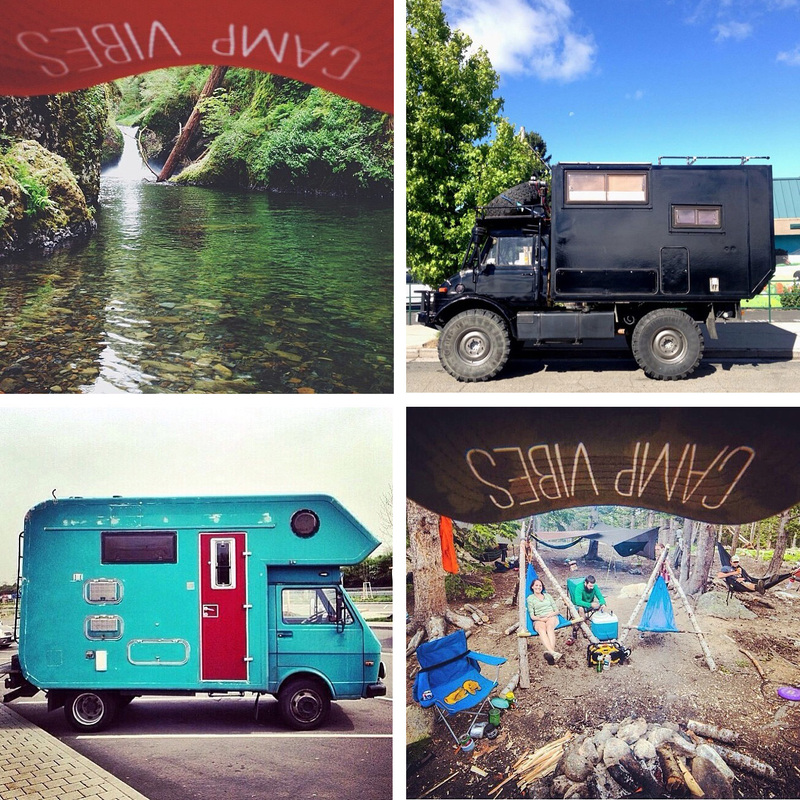 Their signature hashtag is #campvibes, something that can be attached to everything from a photograph of a distant mountain range to happy feet inside a hammock. Their #adventuremobile hashtag features sporty off-road vehicles (conveniently perfect for the rooftop-mounted tents they build), and the genius #beneaththebrim hashtag gives viewers a first-person perspective of a scene—beneath one of their branded baseball caps. This is hashtagging done right. There are few better ways to create a diverse and engaging mix of content than by getting other people to do it for you—especially passionate fans. 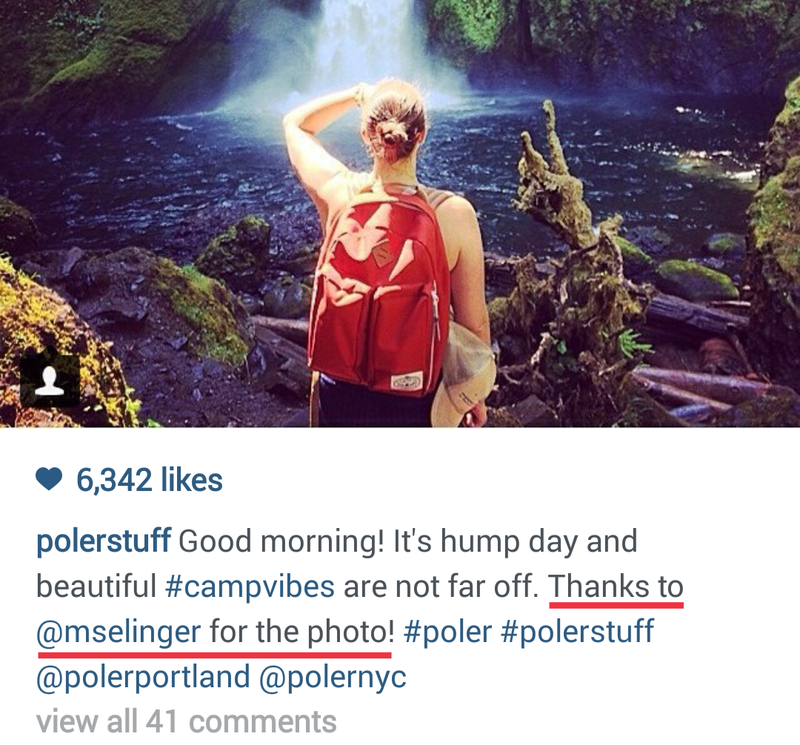 Poler has done this exceedingly well, sourcing more than half of their Instagram content from their devoted fanbase (often pictured wearing Poler gear and using a related Poler hastag). Poler has also made a smart move by sharing products with a talented group of up-and-coming photographers, providing a nearly endless supply of imagery. An added bonus? People are thrilled each time their picture is featured. By using visual platforms to engage, Poler is creating a devoted fan base day by day. Every brand should be doing the same, centering interesting visual content around a product or service and thinking of new ways to reach audiences through visual content.